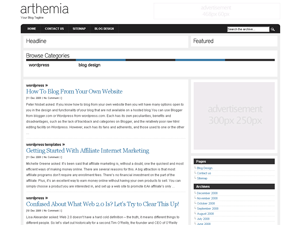 Sleek wordpress template is a clean, dark wp design. 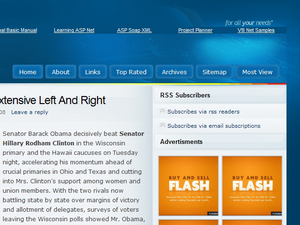 There is no bloated graphics, just pure css wordpress skin. 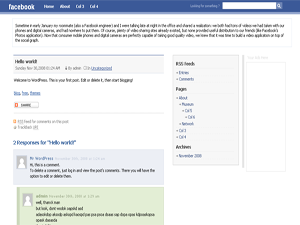 Background is dark grey on entire theme. 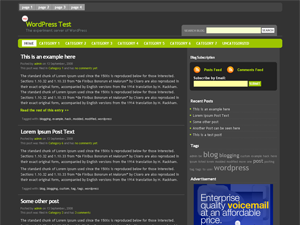 Pages links are in the header – white font on green background. Sidebar is on the right side and supports wordpress widgets – it will only work when you enable widgets (log into your admin, and click on the “Appearance” tab). The search window is located just above the sidebar. 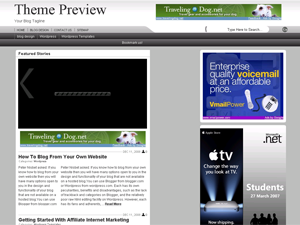 Blog title and taglie are displayed in the upper left corner (header). 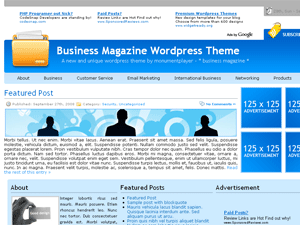 Sleek wordpress theme was designed by Elad Domb.